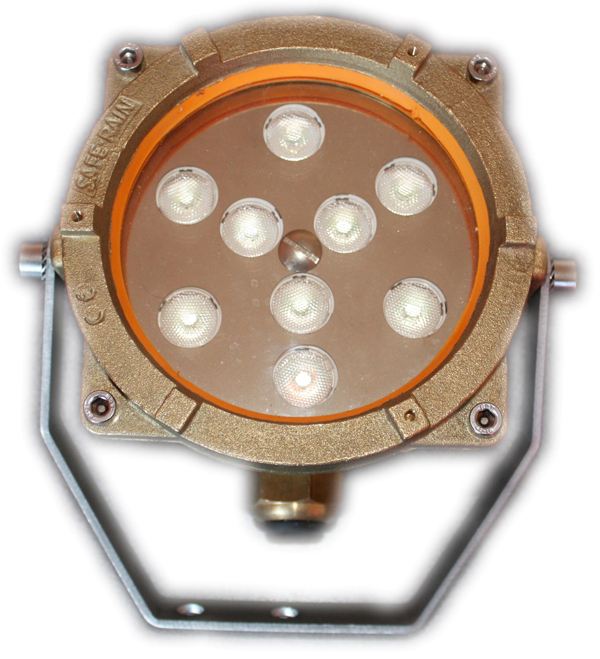 - 107mm 9 LED CREE emitters. It is an universal (RGB or Monochrome) 9 LED emitter for working with 9V, 12V, 15V, 18V and 24V DC (from 7v to 28V DC) in PWM driver mode - with high efficiency. - Color range – Available in monochromic version ( Red, Green, Blue, White and Amber) and RGB for a complete range of color shades , saturated and soft. - Electronic thermal protection at 65 degree Incorporated. - Power for RGB is around 21W, and for White is about 24W. - The expected connection capability is up to 20 meters and up to 20 LED emitter connected to one master (one pixel RGB PWM controller - DEMO or DMX). - It is possible to incorporate build-in DEMO PROCESSOR board and as a Master for other. It is possible also to install small DMX receiver inside each lamp. - The Power can vary from 10-200W depending on the customers needs.